So there’s an update on the Samsung SM-T927 model number that we wrote about last week in hopes that it might be a new 12.2-inch Samsung tablet. Last week it had passed through the Wi-Fi certification with Android 8.0, but today it passed through the Bluetooth certification too, and in the process we got a glimpse of the model name attached to the Samsung SM-T927A which is Samsung Galaxy View 2, though it’s spelled Galaxy-View2. 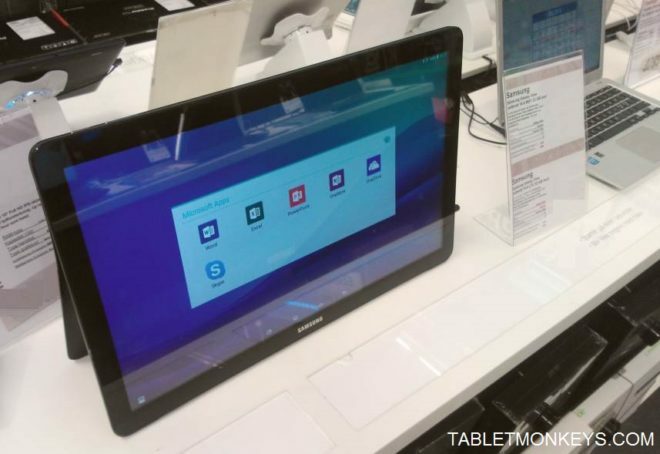 As we have learned in the past, both Samsung and Huawei will sometimes use different names during their Bluetooth filings than on the products they actually launch later on, but still, it does indicate that Samsung has made a switch in their model series numbering, since the previous Samsung Galaxy View was in the 600-series, not the 900-series. 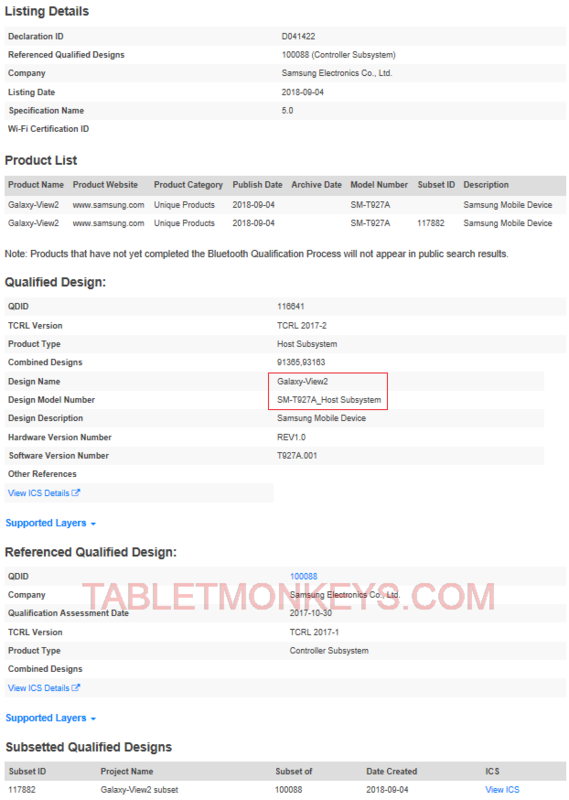 So if we are to believe Samsung by their own name use during official certifications, then the Samsung SM-T927A is the new 17-inch Samsung Galaxy View 2. Despite lacking ac Wi-Fi declaration in last week’s Wi-Fi certifications, it showed up with Bluetooth 5.0 in todays papers. The subset declaration for the Samsung Galaxy View 2 have it listed with both octa-core Samsung Exynos 7885 and Exynos 7884 chipsets. The first 18.4-inch Samsung Galaxy View was powered by a Samsung Exynos 7580 processor, so that makes sense. So in spite of what the official declarations specify, we should continue to expect things like GPS and full Wi-Fi cover. The only thing that can’t be trusted fully it seems, are the official declarations these days.